(WPR) -- A photo which has drawn worldwide criticism continues to draw attention to Baraboo in central Wisconsin. 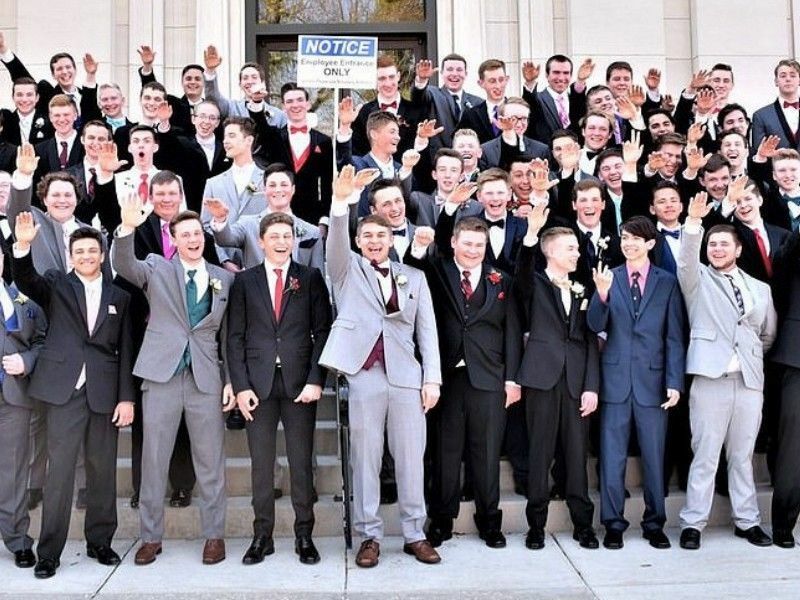 The picture, taken before prom last year, shows a large group of high school boys giving what appears to be a Nazi salute. The photo went viral after it was posted anonymously on Twitter. It's been more than a week since the photo first surfaced and the person behind the post has yet to be identified. Baraboo Police are investigating. Police will have a hard time unmasking the Twitter user, said Kathleen Bartzen Culver, director of the Center for Journalism Ethics at the University of Wisconsin-Madison. "They have to have cause to do that, and in this case, because there really is no criminal action that appears to have happened here, that would be a pretty steep climb for them," Culver said. The same, she said, goes for civil court. "A person trying to sue an anonymous poster has to clear this burden of showing that they have a strong likelihood of success in the lawsuit. And I have trouble identifying exactly what civil action would be in this case," Culver said. "It is a highly problematic image but it’s not criminal and it's not really and doesn't rise to the level where one person would be suing another." The picture was taken by a professional photographer. He told The Associated Press he asked the boys to wave goodbye to their parents before heading to prom. As the investigation continues, Baraboo residents and the school district have scheduled public meetings to discuss the controversial photo and its fallout. The next one is scheduled for Monday night and will be held at Baraboo High School. Speakers include Baraboo School District Administrator Lori Mueller and Rabbi Laurie Zimmerman.